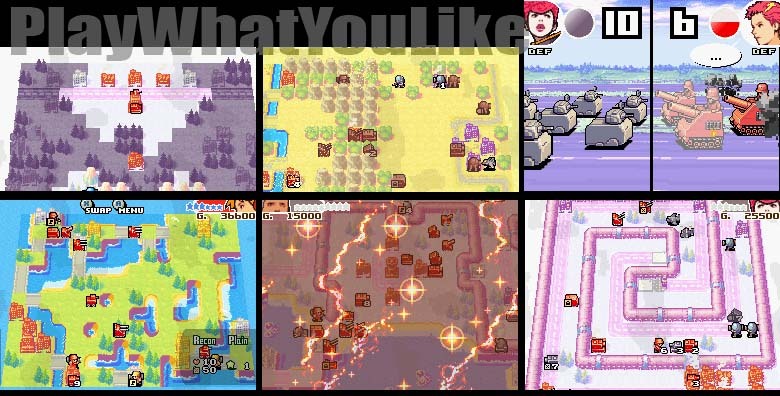 Advance Wars has refined the turn-based strategy genre. More or less freed from RPG aspects, the series focuses on quality units, immaculate balancing, and interesting/challenging layouts. With such a well oiled machine, it’s best not to fix something that’s not broken. The greatest challenge should be inventing new content at the quality of the previous entries. 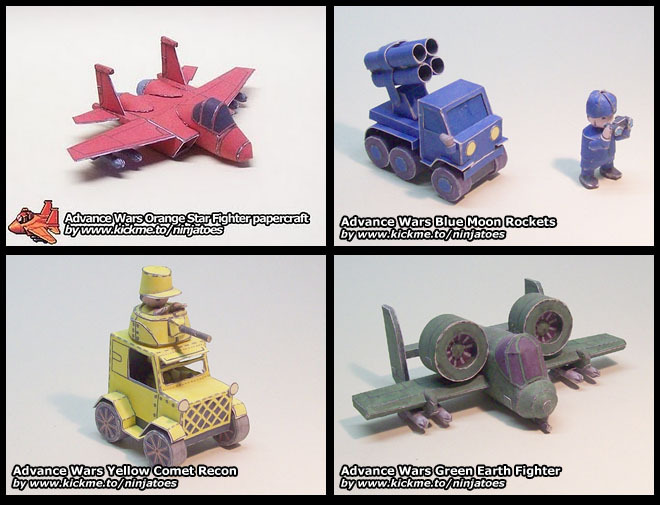 However, Advance Wars: Dual Strike does indeed make the mistake of trying to subtly reinvent a perfectly fine wheel. The game opens by telling you that months have passed since the previous entry. What has also passed is the cute and fun art direction that served the franchise well. It isn’t a complete overhaul. The original characters are still there, but only in limited roles. The game is now carried by two new hipster characters, on a different continent, and with different art direction. Did this series really need to do that? Did it need to go totally “hip?” We say no. Out with the original, in with the hipster! We don’t think another entry with a new interesting story and a smattering of original units would have been resting on laurels. In fact, we think it would be quite challenging to maintain the level of quality in character design, gameplay balance, and design. Unfortunately, we think Dual Strike is sloppy in each and every one of these categories. Okay, that’s impressive. 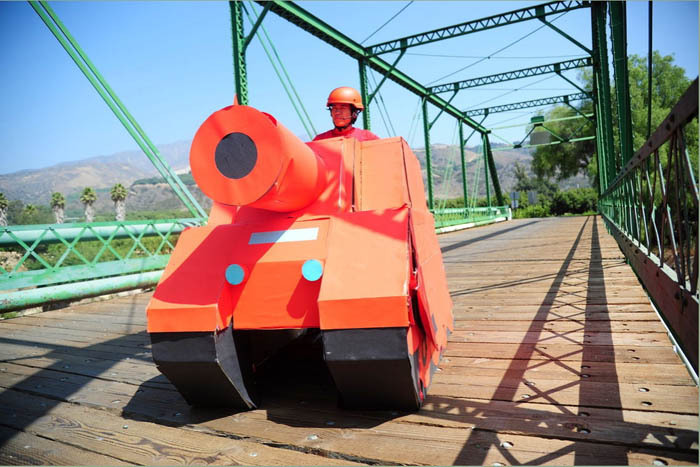 Obviously a VERY BIG fan of Advance Wars. Solid Foundations (covered with a little debris…): Despite misguided additions and changes, the core unit versus unit gameplay is still solid and fun. There’s a very balanced system of strengths and weaknesses as it relates to units. Even the mightiest tank can be bombed from the air, whittled down with inexpensive units, or run out of fuel and ammunition. Additionally, it’s very expensive. New and (Arguably) Improved Units: The new super ultra mega tank. It’s fun, although costly. It stretches the balance, but doesn’t break it. A Clean Environment: From sea filled coastal regions to winter environs, the visual depiction of terrain is crisp and quite acceptable in the simplified universe of Advanced Wars. 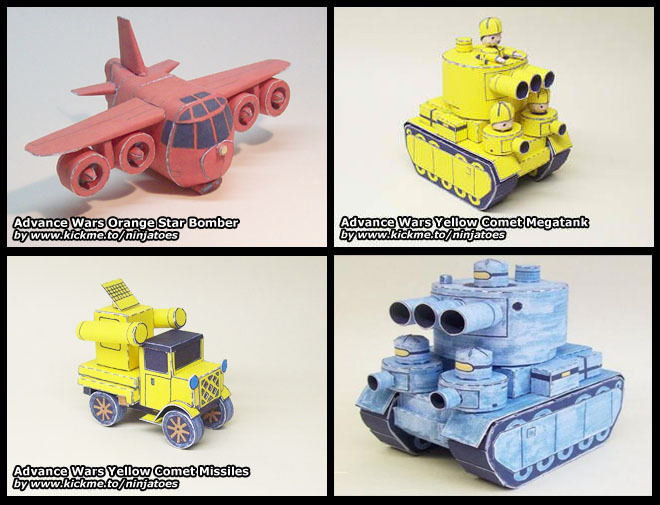 Reenact your favorite game scene with these… easy to make?… paper models! Tutorial – Too Much of a Good Thing: It feels too long and drawn out. One of the strengths of the franchise is simplicity by design. Easy learning, with the challenge coming though the gameplay. Unforgiving Goals: Challenge is a good thing in SRPGs, but it should be about informed strategic decisions. The (map) objectives and goals for some missions are unclear. You might decide upon a reasonable strategic tack only to find out later it completely hoses you and your chances of victory. The game should remain focused on strategy, rather than trial-and-error victory. 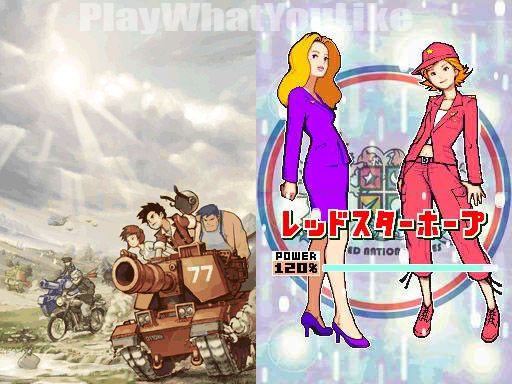 When Genres Collide: The first advance wars was cute, and for the most part so was the sequel. However this entry does not successfully pull off “cute,” nor does it pull off “cool.” It’s a strange mix that turns out neither very fun, nor very thoughtful. We would suggest not trying to force the round peg of Advance Wars into the square hole of a semi-serious toned game. Prepare yourself for hipster cliche overload! Two Battles? Twice the Fun… Or Not: Some scenarios require fighting a land war and air battle simultaneously. While this may sound fun in a design meeting, in actuality it’s distracting and a little burdensome. The connection to the air battle is tenuous at best. Why include it if it can just be handed over to the AI to fight? Discrete, separate, and clear missions work better. Is this AI Really Necessary? If you turn the air battle over to the AI, you have a choice of aggressive, neutral or defensive stance. It’s extra control worth little, in an extra battle worth little. …eh. Those development hours could have been better spent. We don’t even get what that—guy(?) on the bottom right is trying to be. Pointless Sacrifices: We mentioned how the secondary battle is ill-conceived and unfun. In some cases you don’t even have to win it. But that doesn’t keep the game from suggesting you send precious units into this pointless air battle. Adding to the frustration, they can run out of fuel, crashing to the ground having potentially accomplished nothing. “I’m invincible!” Various commanders can be chosen to lead your units in battle. They each have a different special ability. One enemy commander has the ability to make his units 100% invulnerable. That’s about as fun as a root canal. Additionally, it just doesn’t fit a game where every encounter has some sort of cost. Art MIS-direction: Trying to retro-fit a weird, semi-hipster art style onto the existing lighthearted assets results in what you would expect; a clashing mishmash. We are sorry, but a new continent is not an excuse for a new art style. New content, sure. The new good guy characters are dull and overly hip. The new bad guy characters are just weird, showing no continuity and adding little to the game. Unappealing Goes Beyond Skin Deep: The enemy commanders not only look unappealing but are also less than fascinating. They aren’t heartfelt, have no compelling story, and in many cases aren’t even worth trying to understand. 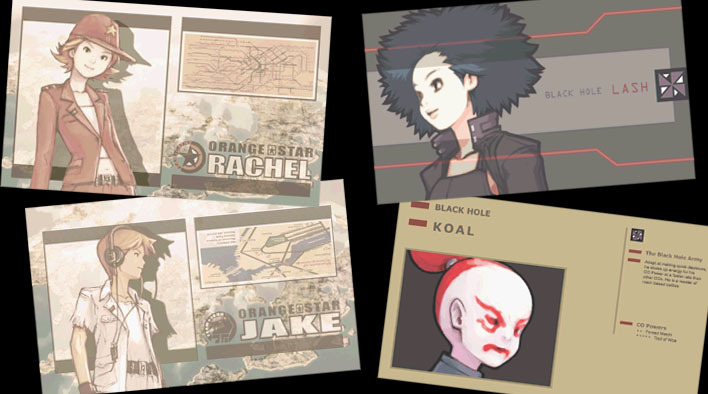 Advance Wars isn’t a deep story RPG franchise, but it does have a lighthearted narrative which keeps one moving from battle to battle—at least in previous entries. Complications: An important maxim of game design: Complication of gameplay does not necessarily equal more fun. Just because you can do it doesn’t mean you should. Is it adding fun? We are not convinced this question was asked enough during the development process. Unfunny Humor: Our theory is they are trying to be funny by filling the protagonist’s vocabulary with every overly hip cliché imaginable. However it’s overdone to the point that you never take seriously anything he says. He becomes a joke, and it’s hard to immerse yourself in any of the battles. 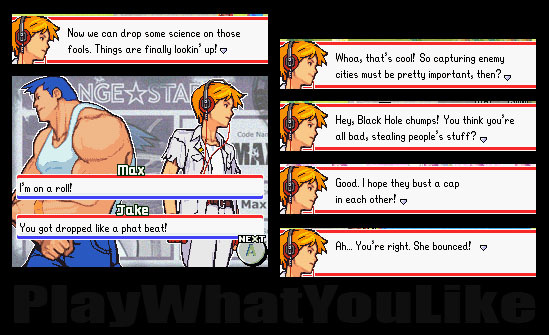 Additionally, the dialogue is just inane, even for Advance Wars. You thought one set had the slang cliches covered? No way. 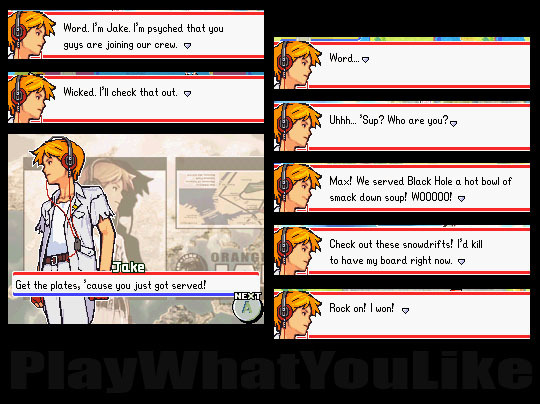 You Don’t Need to Answer: Advance Wars requires a button press to advance the dialogue, so each line should be carefully written and dialogue should be kept to a minimum. Just the opposite is done, as if written by an intern game developer. Every conversation is peppered with empty responses that have to be dismissed with additional button presses. How many, “Yeah,” “Okay,” “You bet,” and other such responses must we be subject to? 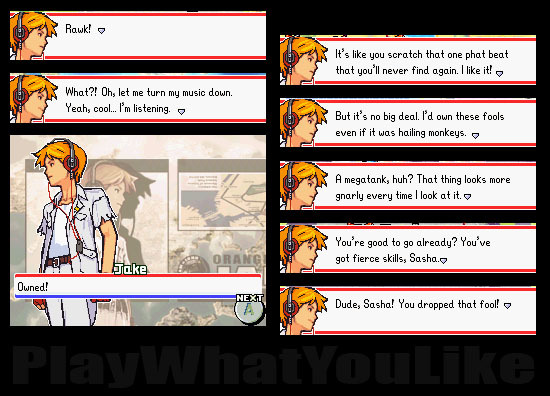 The Advance Wars franchise started out as an extremely balanced, easy to pick up, and well-crafted combat system. The two sequels have gone a long way to eroding that value. One of the key tools for this devolution is commander’s specials. The game is naturally one that requires strategy, and advanced thinking about your own movements and those the enemy might do. You will soon find out that special abilities can totally ruin that. The result is either overly conservative play which risks little and becomes boring, or even worse, not caring about your units. In the latter case you will quickly find yourself putting the game down. Wait a minute… The ion cannon from Star Wars: The Empire Strikes Back and one of those annoying mega-cannons from Advance Wars… hmmm. The most egregious perpetrator is the special that allows two turns in a row. That’s right, you get to do your attack move, then activate the special and attack for another turn. This totally crumbles any kind of planning and throws off the entire rhythm of the game. Think of it as chess and imagine a scenario where you get to move twice. Cheesy checkmate. The commanders who use specials of this nature are so overpowered in comparison to the original commanders. Andy, the fun youngster from the first game, has a repair special which partially fixes all your damaged units on the field. It’s handy. How can that compare, though, to the many cheese-ball crud specials this game throws at you. We went into this game with high expectations. 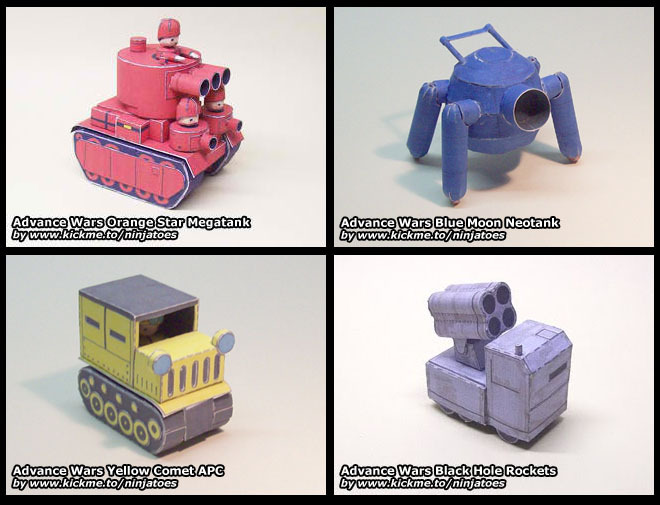 After all, it’s “Advance Wars.” What we got was a mishmash. Yet despite the meddling with a successful formula, it still managed to be somewhat fun. But not nearly as fun as previous entries, nor did it compel the same amount of playing time. This franchise used to be one in which you could play it your way. Do you like heavy duty, close range tank combat? You could outfit your forces that way. Were you more of a ranged attack fan? You could load up your army with artillery and missile launchers. Perhaps you were about capturing territory and filling the terrain with platoons of specialized soldiers. All these strategies are forced to take a backseat while the way THEY want you to play each scenario reigns supreme. This franchise may have needed sprucing up, and perhaps an injection of new ideas that still fit the established style of gameplay. However this entry is a complicated, anything-goes, seemingly designed-by-committee stew that leaves a less than pleasant aftertaste. Ugh, more? Are you kidding? Sadly no. The trendy jargon-fest continues! As someone who has extensively played every game in the series from its inception, I think I have some complaints about this post! Namely, you bring up the game’s balance and compare it unfavorably with previous iterations. I think it should be noted that the series has *always* been plagued with balance issues, with Dual Strike being little different from its predecessors in that regard. 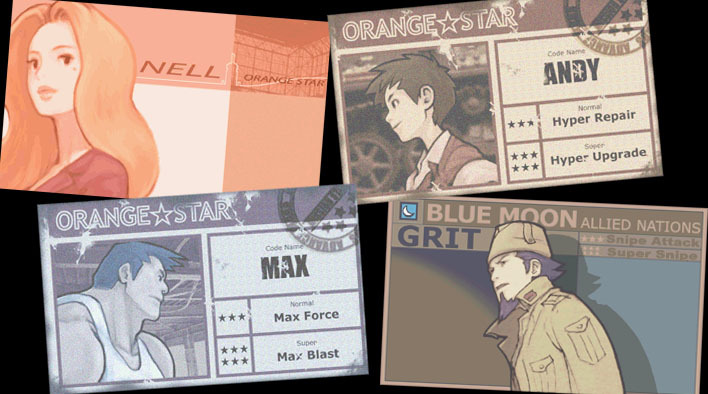 Recall that Advance Wars 1 held host to two of the *most broken COs in series history* in Max and Grit. Both COs rendered the *entire rest of the cast* irrelevant in both singleplayer and multiplayer. Meanwhile, COs such as Olaf and Sonja were so situational so as to be extremely limited (Olaf’s snow ability doesn’t really matter on maps with lots of roads), or completely useless (if you weren’t playing a Fog of War map, Sonja has almost zero benefit whatsoever). Meanwhile, Advance Wars 2 features the most dominant iteration of Kanbei ever (try to attack one of his units on a city. Go ahead, try), does nothing to solve the Grit problem, and then introduces four new “ohmygodbroken” COs in Hachi, Colin, Sensei and Sturm. Sure, Sturm is fully intended to be a broken boss CO, but we’ll notice in AWDS that that sort of design philosophy doesn’t need to exist (Von Bolt is very beatable). Unit balance was never terribly impressive either. Competitive balance has consistently been dominated by small units. That was the case in AW1 and 2, and remains the case in AWDS. In fact, AWDS does very little to solve any of the balance issues that plague previous iterations of the series, so in a sense your criticisms are entirely valid. I just think you’re looking at the series’ past with rose-tinted glasses in that regard. We think your comment, Kristoph, is more informed feedback than complaint. You obviously have a thorough knowledge of the franchise. We appreciate the detail and passion you bring to this topic. As you can see, we analyze and play a lot of Turn-Based Strategy/SRPGs here at Play What You Like. Unit balance versus cost is crucial for this whole family of games. We are glad for your thoughtful agreement with the meat of our analysis in regards to the commander’s powers. You make a good point about our thoughts on the earlier entries. We will admit the commander’s special powers have always been the weak link in the series. However, we were willing to give the earlier entries a pass, as we think it did not reach the tipping point in an otherwise well-balanced-units game. (Two attacks in a row in Dual Strike was definitely a tipping point.) In fact, we largely avoided the commanders in Advance Wars and played many hours of versus CPU map battles. There is some difference between our opinions in regards to small versus large unit balance. We did not think it obviously broken series-wide (outside of commander powers). We also thought the strengths of units being a little more or less according to the commander you chose added personalization and player buy-in. Of course, those said strengths had to be reasonable. Some of the scenarios you highlight throw the balance off, and you are right, major balance issues have not been addressed. Why are the developers resting on their laurels and letting this franchise suffer? Your comment was a good one. We both agree that an otherwise fine franchise is being hampered with flashy, overpowered, sometimes unhelpful, and unnecessary gameplay mechanics. This is very nice. I love this game, and I am still playing it up to this day. I also tried to cosplay Andy from Advance Wars. Dunno why I keep coming up in the search results (when my Andy is carrying a dumbbell)! 😛 Anyway, you have a really nice blog over here! I’m glad I dropped by! We played the first Advance Wars many, many hours. We enjoyed going up against the AI on all the different maps. As you read above, the dual strike mechanics did not thrill us as much. But the core of this franchise is still solid, turn-based strategic fun. PS – Thanks for stopping by and the kind words. Keep droppin’ in. There is a lot to see and more coming. You do know that’s me right? 🙂 Yeah sure, I’ll drop by again. Thanks!